64% OFF! 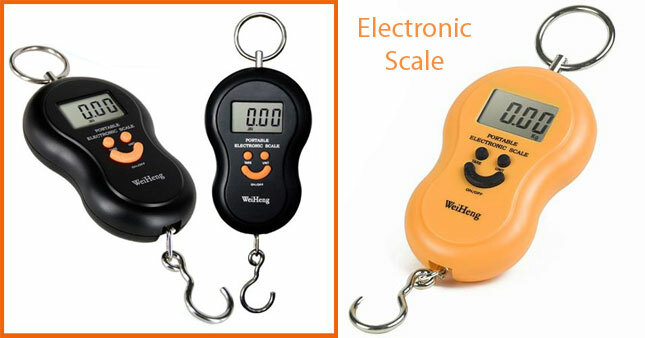 40Kg Digital Hanging Weight Scale worth Rs. 1,550 for just Rs. 550! This ultra portable digital weighing scale, it is extremely accurate. Multi-purpose Portable scale is suitable for family kitchen, shop, outdoors or as gifts etc. weigh max upto 40kg. Large blue back-lit LCD display makes for easy viewing. Handy portable and durable. Metal hook for ease in picking up & weighing. Tare function, auto zero resetting, manual switch off/auto switch off without operation. Main body use ABS engineering plastic as main materials with a weight reading lock in feature, this is where you weigh an item and it saves the reading for you (lock in) when you take the item off the scale.Ideal for weighing items that are difficult to place on a traditional platform scale. Voucher is valid only for one 40kg Digital Hanging Weight Scale.